At the beginning of the year, Nike rolled out a new Air Max basketball shoe, the Air Max 720 Saturn. 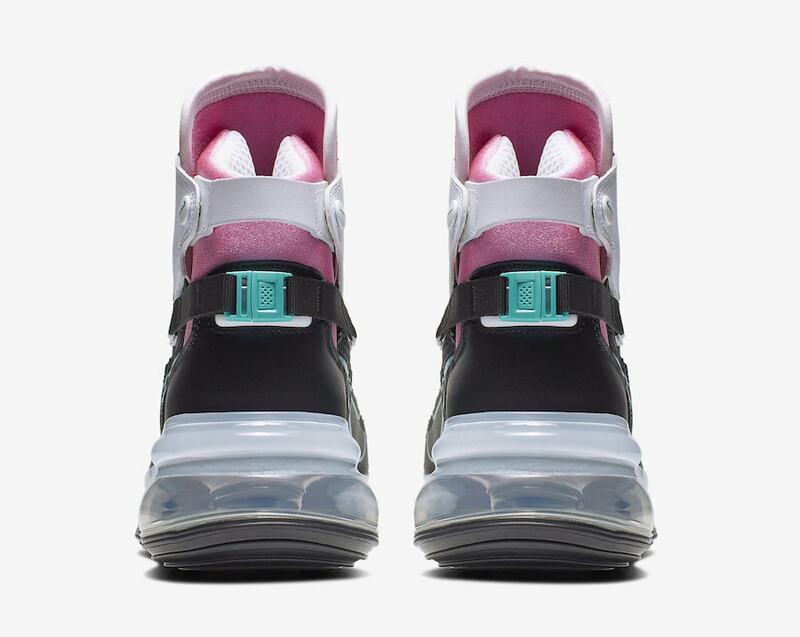 The high-top sneaker now looks to take on a “Miami Vice” colorway. 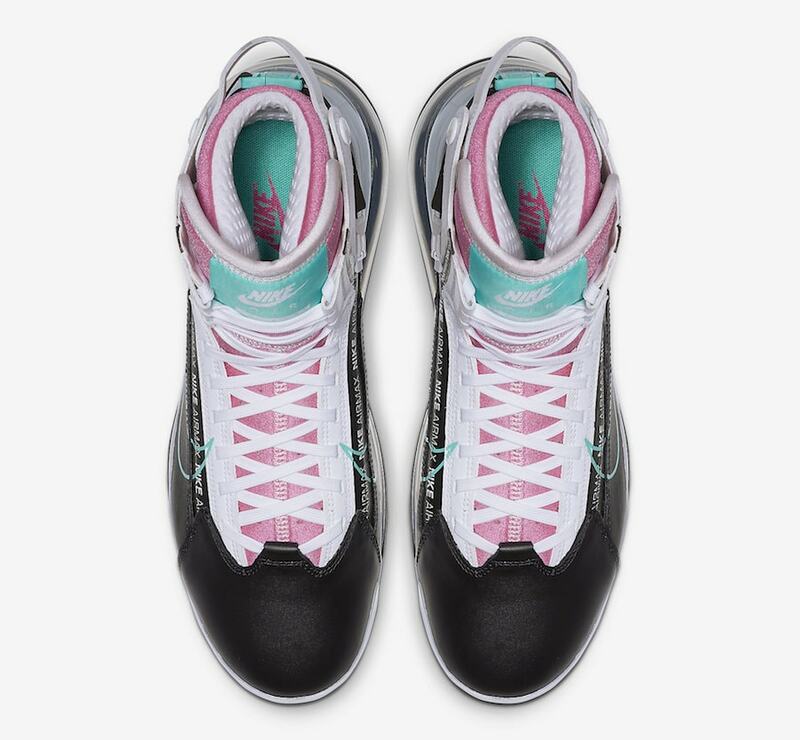 The South Beach colorway of hot pink and turquoise has always been a huge hit among sneaker fans. Over the years we have seen quite a few models be dedicated to the city of Miami. 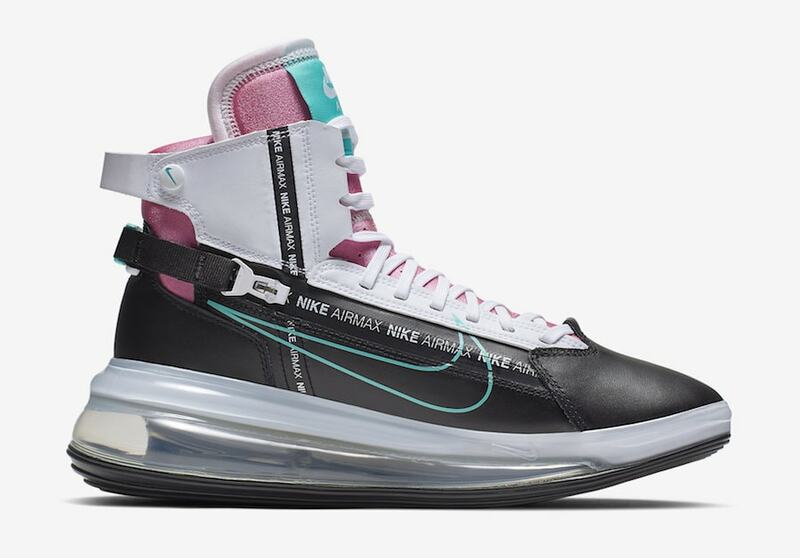 The Air Max 720 Saturn looks to take a vacation in its short-lived career as it takes on a “Miami Vice” theme. The shoes upper consists of all leather, black leather on the bottoms as well as white leather on the upper. 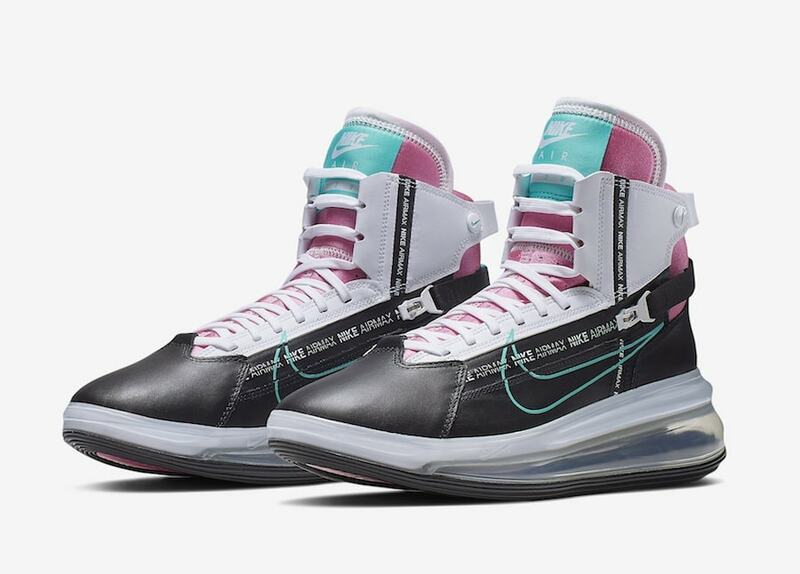 South Beach highlights then come into play as the tongue is painted in an all Pink color and topped off with a turquoise branded tag. The Nike Swoosh is then seen on the medial and lateral sides in bright turquoise as well. 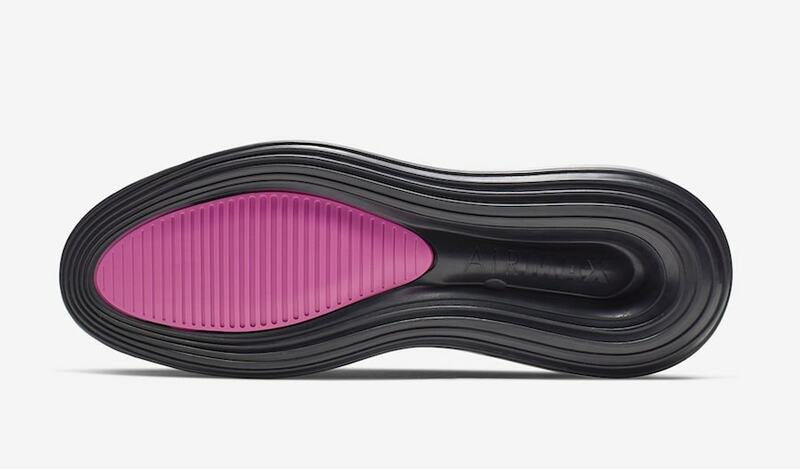 Finishing off the shoe, it is supported by a clear Air Max bubble throughout the whole outsole. As of now, the sneakers have no official release date. 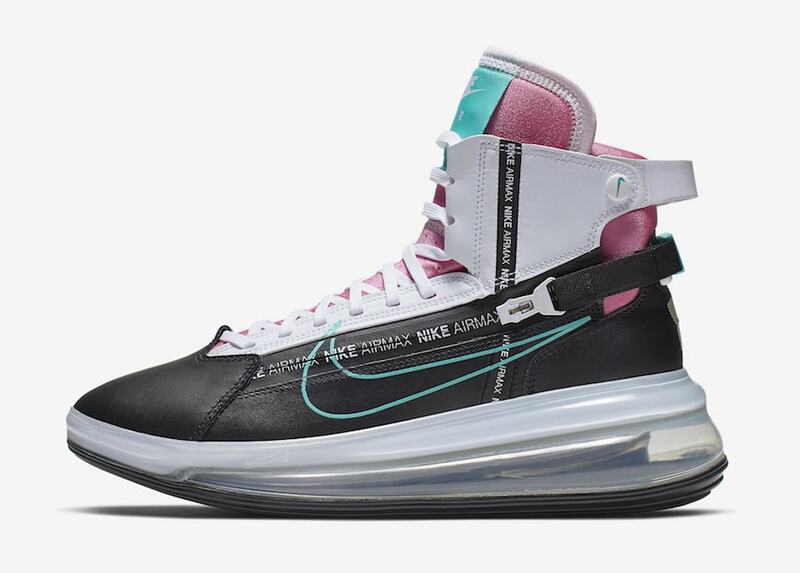 But if you’re looking to pick up a pair they should be dropping soon at select retailers and Nike.com with a retail price of $200. 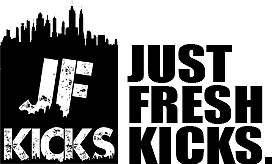 Check out more detailed images below and as always stay tuned to JustFreshKicks for updates and other Nike news.